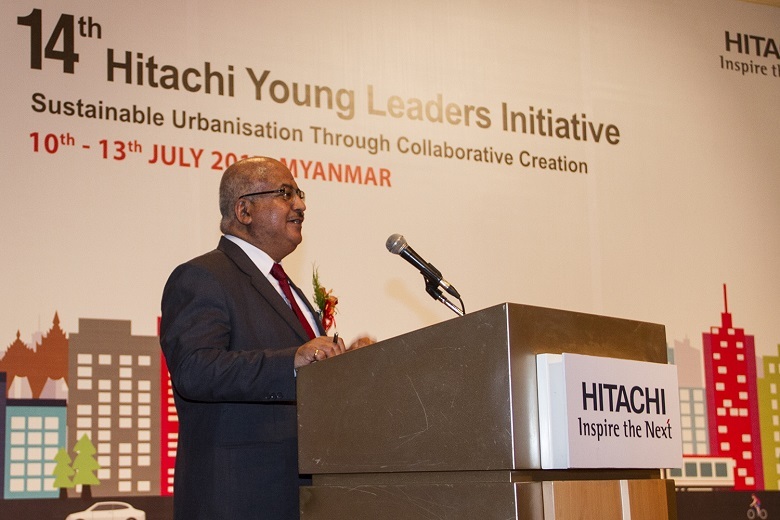 The 14th Hitachi Young Leaders Initiative (HYLI) was recently hosted in Yangon, Myanmar from 10th-13th July. 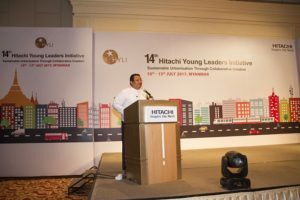 HYLI’s mission is to identify and nurture potential Asian leaders who are among the best and brightest students in Asia. 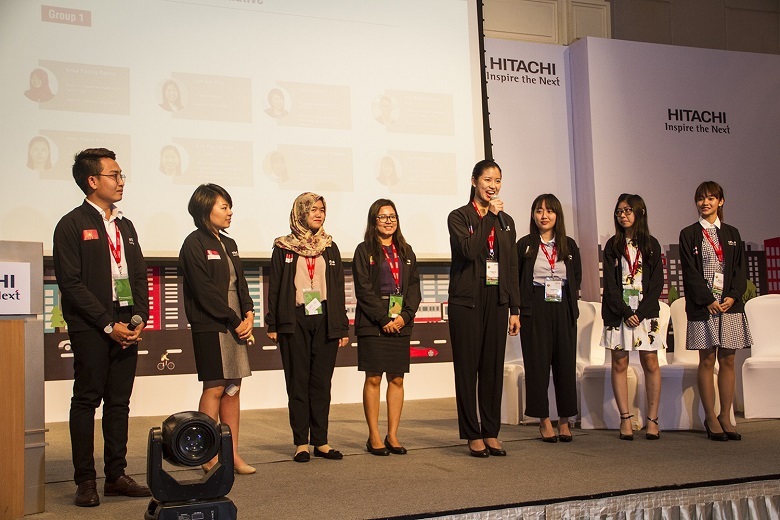 Four student delegates were selected from eight participating countries Indonesia, Japan, Malaysia, Myanmar, Japan, Philippines, Singapore, Thailand and Vietnam. 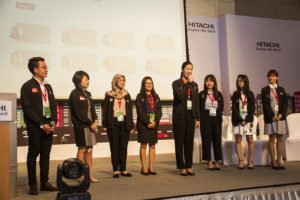 HYLI was launched by Hitachi in 1996 to discuss regional and global issues, broadening student leaders understanding and perspectives, while sharing cross-cultural experiences with other delegates. 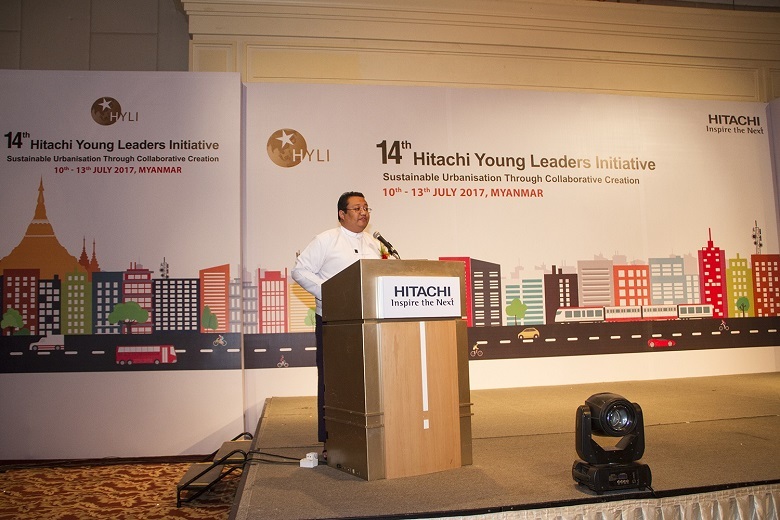 The theme of the 14th annual HYLI conference was “Sustainable Urbanisation Through Collaborative Creation”. The theme was chosen in light of the rapid urbanisation trends being experienced across Southeast Asia and the many concurrent challenges and opportunities this can bring. The programme highlighted the importance of working together towards sustainable development of cities through three sessions on; The Value of Smart Cities for Southeast Asia; Sustainable Urban Transportation; and Environmentally Sustainable Cities. 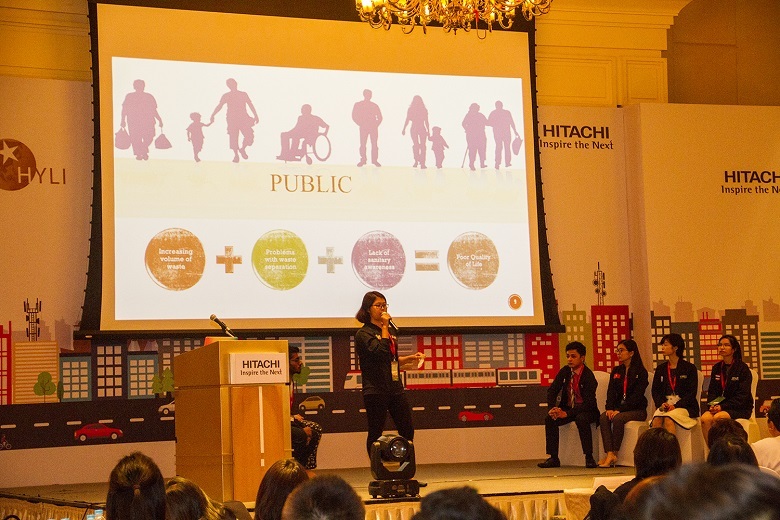 Influential speakers from public, private and NGO sectors were invited to share their knowledge and experience with the student delegates in order to foster a holistic understanding of sustainable urbanisation. The second day of the programme gave the student delegates the opportunity to visit UN-Habitat’s Yangon office for a lecture and Q&A session with Country Programme Manager Mr. Bijay Karmacharya. UN-Habitat was invited in acknowledgement of the key role they play in activities supporting urban development in Yangon such as urban planning and governance; capacity building; environment and climate change. Mr Bijay Karmacharaya led a lecture discussing a range of issues surrounding urbanisation including; urbanization drivers trends and projections in Myanmar; the necessity of planning and the consequences of an unplanned city; the key footings of urban planning and the role of municipal governance within this. Before sharing an overview of UN-Habitat’s on-going projects within Myanmar and how these are undertaken collaboratively with stakeholders and local government to achieve results. This activity was followed by a lively Q&A session through which students demonstrated their engagement by drawing on themes from the presentation and past days of learning. Mr Bijay Karmacharya ended the session by remarking on the passion and energy the students displayed through their thoughtful questioning and his hope for the future in the hands of these future leaders. 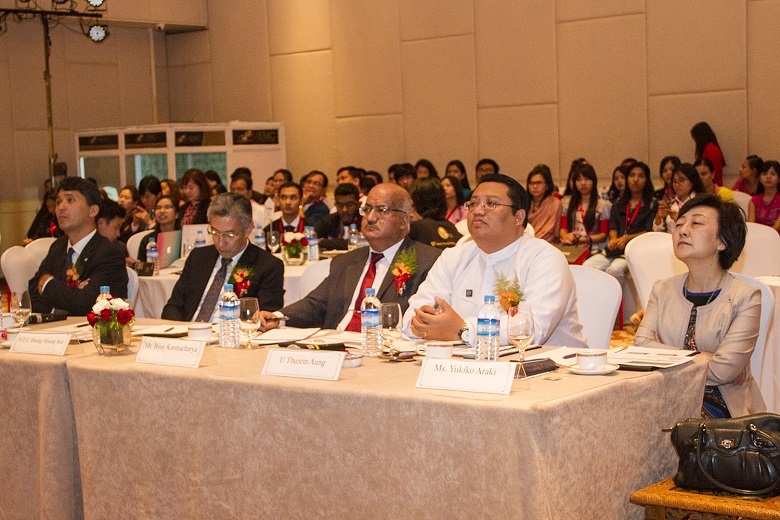 The event culminated on the final day with four teams of student delegates presenting on the topic of “Sustainable Urbanization of Yangon City” to a panel of guest advisors including, H.E.U Maung Maung Soe Mayor of Yangon City Development Committee, Mr. Bijay Karmacharya (UN-Habitat), Mr. Thurein Aung (Yangon Heritage Trust) and Mr Masaaki Otake (Hitachi). 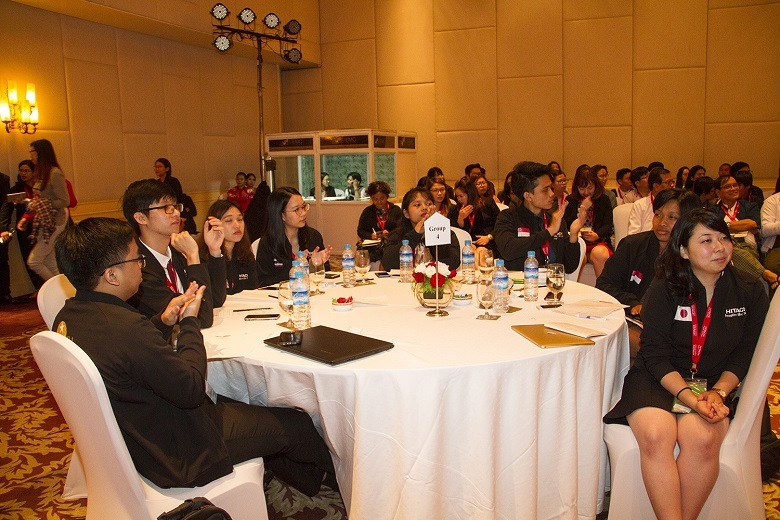 Advisors were invited to critique and advise the student delegates following their presentations. 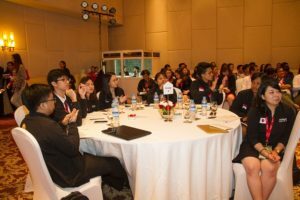 This session allowed students to discuss a number of the urban challenges which Yangon is experiencing including, solid waste management, transport and congestion and attitudes and education. The value of cross-cultural learning was particularly apparent during this session as many case studies of solutions were brought from across the continent and further afield, highlighting the opportunity for collaboration when considering sustainable urbanisation. The final honour of providing consolidated feedback and recommendations lay with Mr Bijay Karmacharya as Lead Advisor. He expressed his admiration for the quality of the presentations and the student’s ability to develop such detailed proposals and well-rounded ideas in such a short space of time. Underlining the dynamic opportunity the student delegates will have in future to encourage sustainable urbanisation through collaborative creation as future Asian leaders.